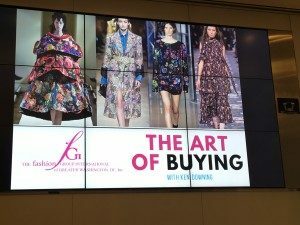 Last Friday night, I had the pleasure of attending an exclusive event, The Art of Buying, hosted by the Fashion Group International (DC). 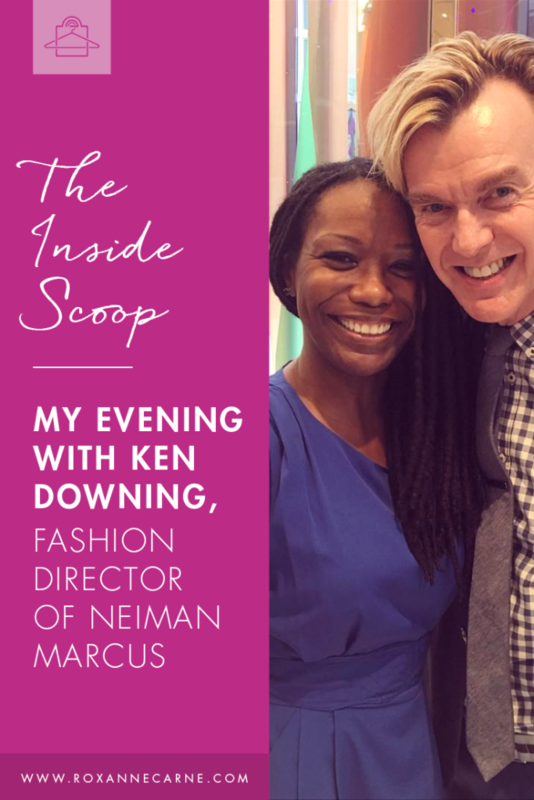 This event featured the one and only Ken Downing, Fashion Director & SVP of Neiman Marcus! 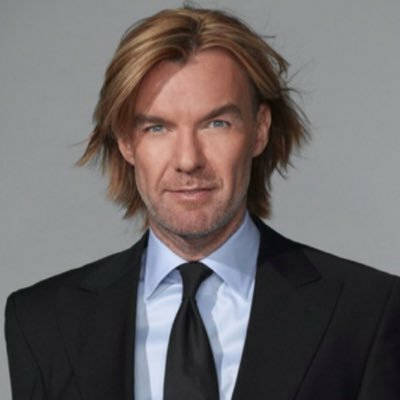 As the Fashion Director, Ken is personally responsible for all of the looks that come through Neiman Marcus’ doors, whether in-store or in their monthly style guide & catalog, The Book. 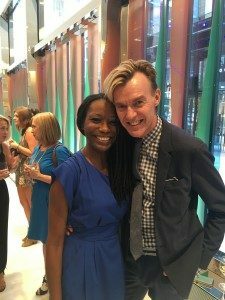 This was such an honor because Ken is extremely well known (and connected!) the in the fashion world and he’s the equivalent of Anna Wintour, Vogue’s Fashion Editor. 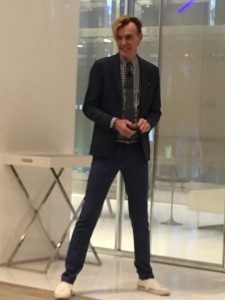 Getting up close and personal with Ken, learning his professional insights, and engaging in his witty conversation was indeed a treat.As you can imagine, Ken has PLENTY of personality but he is also very creative and well-calibrated with what women want in fashion. 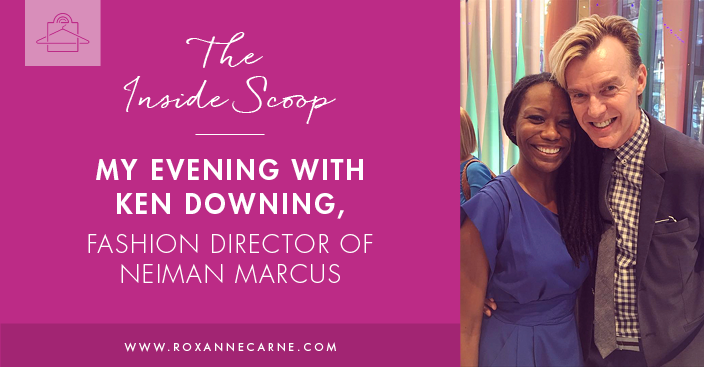 I love how he referred to his female Neiman Marcus customers as “his girls.” He discussed how he’s always listening to “his girls” for inspiration and cues on what to buy for the stores. This is Ken’s take on how women should feel when they select a piece for their wardrobe. Yes, yes, yes!!! This is exactly how I feel and what I teach my clients to feel when shopping for new clothes. If you’re not feeling a ‘moment’ when you wear your clothes, that look is not for you. While I’m not a Virgo (Scorpio all the way! ), I, too, don’t like to be disappointed. Who does? This is especially so when it comes to outfits and pulling looks together. If you’re not feeling your look, ditch it. You naturally exude a certain amount of confidence through your outfits. If you’re looking frumpy, you’ll feel disappointed, and odds are that you’re going to put that disappointing energy into the universe! Don’t do it! This is actually a quote from Ken’s mother, who was his first fashion muse and his biggest fan! He fondly remembered her saying this as he picked looks for her. For practical, everyday living, you don’t want looks that are completely left-field (unless that is truly your thing and you can pull it off consistently, of course!). In all, just keep it simple and keep it pretty! Another timely and relevant quote from Ken. As I style women, this is the same message I aim to convey. Whether you are a corporate professional, entrepreneur, or stay-at-home mom, you should always make the effort to promote the best version of you to the world. This can be a gateway to so many opportunities – this is something that most people don’t realize until they actually experience it. We’re in a world that’s so interconnected, you can fall into the fold pretty easily. So don’t put this off – leverage your style to solidify your personal brand and stand out from the rest! I have to say I was so relieved to hear Ken Downing say this. In most recent years, we’ve seen women become more vocal about the selection (or lack thereof) of clothing options available for “normal-sized” women. Ken agreed that this still remains to be a big problem among designers; as such, he personally seeks out designers that offer regular sizes for “his girls.” His passion about this issue coupled with his dismay of the industry made me very happy to see that someone on the “other’ side is advocating for women when it comes to clothing sizes. Rock on, Ken! Stay tuned for upcoming blog posts on upcoming fall trends, how to transition to your fall wardrobe, and the truth about vanity sizing!